As regular visitors will know, my favourite room in my tottering house on Henrietta Street is the salon. Here I sit at the desk, quill in hand as I pen my daily dispatches with a cup of tea always within reach. For inspiration I might look out into the bustle of Covent Garden or, if I'm in a more pensive mood, peruse the works of art that hang upon the wall, many of which come attached to an occasionally ribald story. 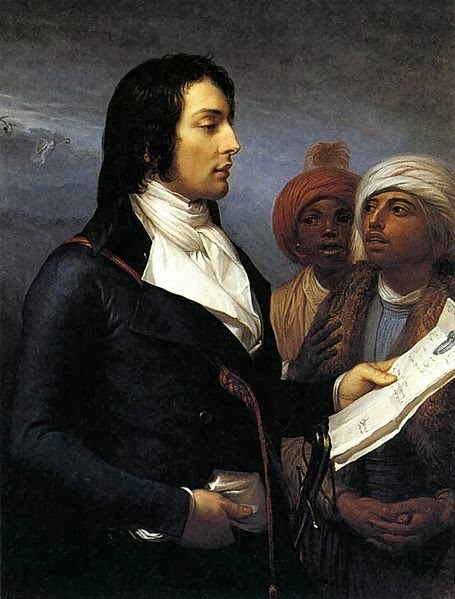 Today's story isn't ribald but it is a tale of art, and the life of a neoclassicist painter who was also a particular favourite of Napoleon. Andrea Appiani was born in Milan as the son of a doctor and his early career plans were simply to follow his father into medicine. However, this scheme evaporated as he discovered a love of art, showing an early talent for illustration. As a young man he became a student of Carlo Maria Giudici, under whose tutelage Appiani was able to learn the basics of craft and form. From here he undertook further study at the Pinacoteca Ambrosiana before going on to study anatomy and learning the art of the fresco first with Martin Knoller and then with Giulio Traballesi at the Accademia di Brera. As the century rolled on Appiani became a master of frescoes, painting a number of allegorical pieces for the most illustrious clients in Italy, as well as ecclesiastical frescoes. He toured Italy at the dawn of the 1790s, returning to Milan as one of the most famous artists in the country. 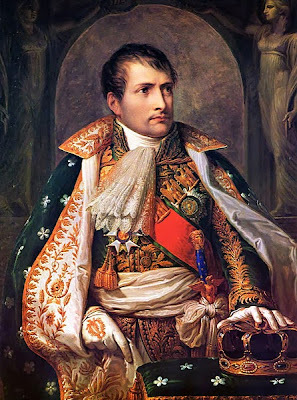 Amongst his biggest fans he counted Napoleon himself and in return for frescoes honouring the Emperor, the painter was made court artist to the Kingdom of Italy. In this privileged position he completed innumerable commissions including nearly three dozen works depicting Napoleon's life and achievements. Not content with this, he returned to the Accademia di Brera as a tutor, passing on his knowledge to those who would follow in his footsteps. 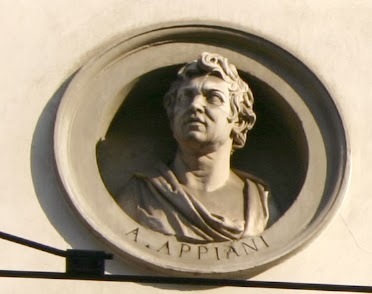 In this highest of artistic offices he enjoyed the best of everything yet fate dealt a cruel blow to Appiani when, in 1813, he suffered a fit that left him partially paralysed. No longer able to paint, he retired to his home and remained there until his death in 1817, leaving behind a rich body of work for which he is still celebrated today. If you'd like to see more Appiani, visit me on Pinterest! Desaix looks like quite a handsome chap! He has been picking up a few compliments today!